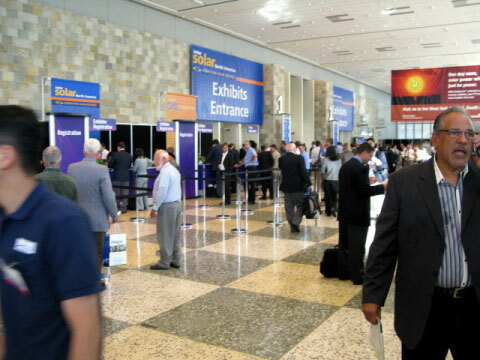 Intersolar North America 2009 has tripled its floor space, featuring 437 exhibitors and 17,000 registered trade show visitors in San Francisco’s Moscone Center West, July 14-16. 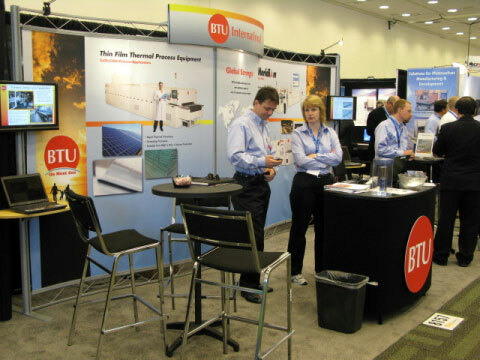 The conference, held at the InterContinental Hotel next door, also increased its size and program to over 25 tracks, approx. 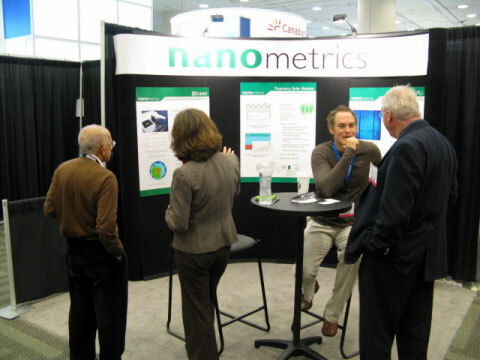 150 conference speakers and around 1,600 attendees. 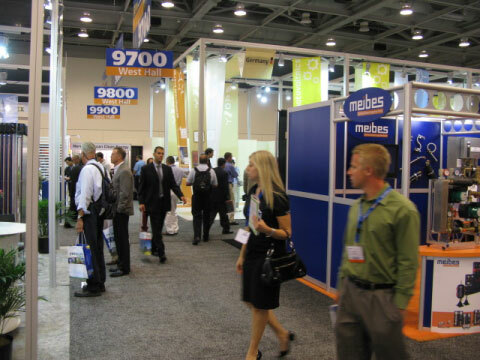 All three levels of the Moscone Center West with an area of 11.000qm were occupied. This success is not accidental, because the American recovery and reinvestment act and the energy policy statements by U.S. President Barack Obama, placed renewable energies and hence the solar energy clearly into the focus of future energy production and conversion. 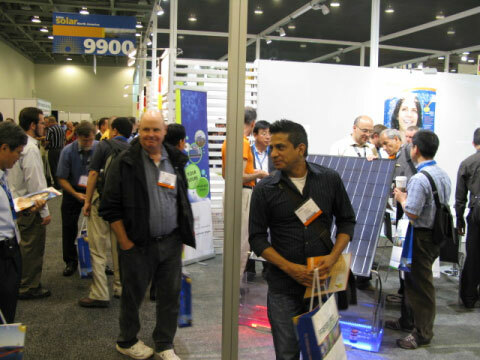 The breakthrough of solar industry in the United States was clearly to notice at Intersolar North America. 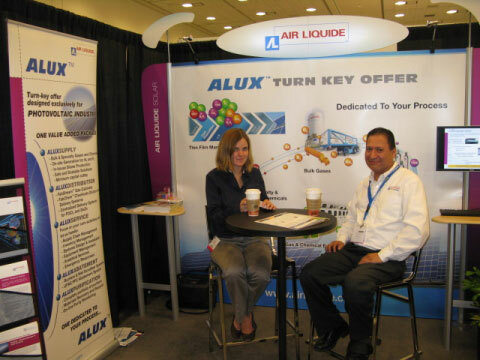 The aisles were full of attendees, the faces full of hopes, the mood was good. 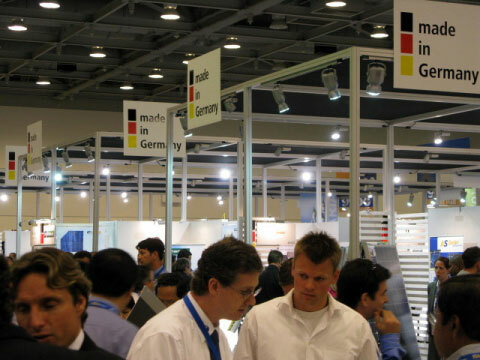 Given the technological advantage, the German companies hold in this area, it was not surprising that not only the trade fair organizers are of German origin, but also German companies were disproportionately represented. 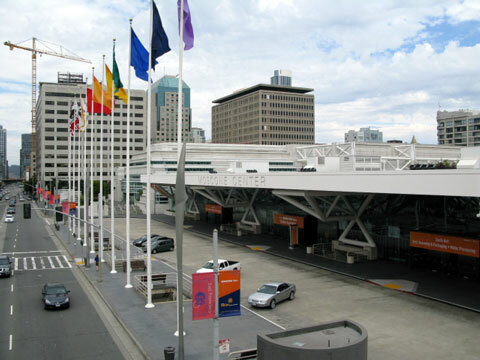 At many booths and in the hotels and restaurants around the Moscone Center, German was a common language. 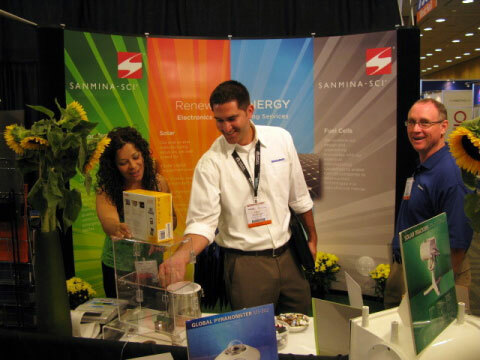 But does the industry also thinks about, how to store the energy, which is created by solar conversion? This energy is getting cheaper over the time; it can be saved perhaps in hydrogen as energy carrier. 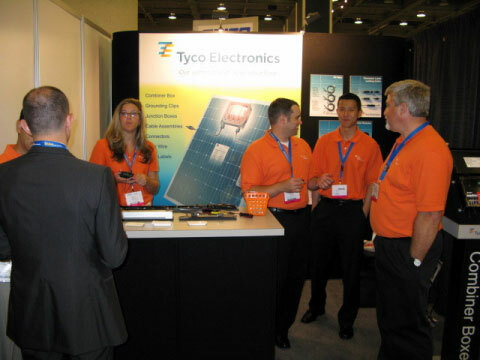 The other open question is, whether this may be possible to produce hydrogen directly from concentrated solar energy. 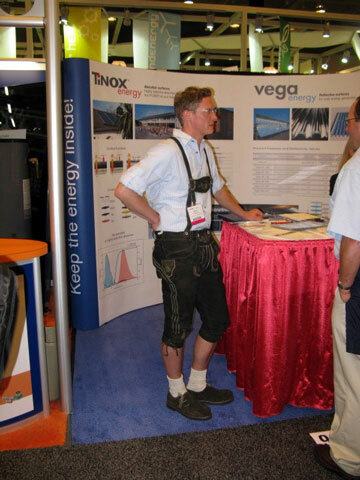 Unfortunately, at Intersolar North America, there were no such signs. Understandably every business, every engineer, every marketing guy is thinking how to improve its own field of products and services, how to make them cheaper to produce and how to sell them even more market orientated. 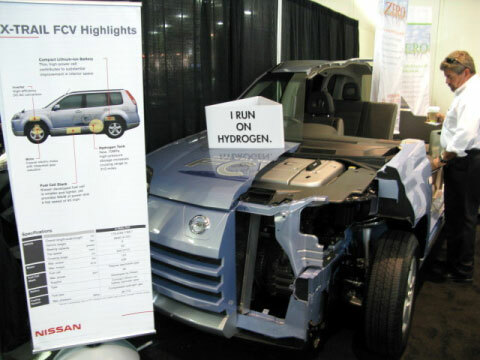 In the field of hydrogen and fuel cells (H2/FC), this is not different than in photovoltaic and solar thermal. 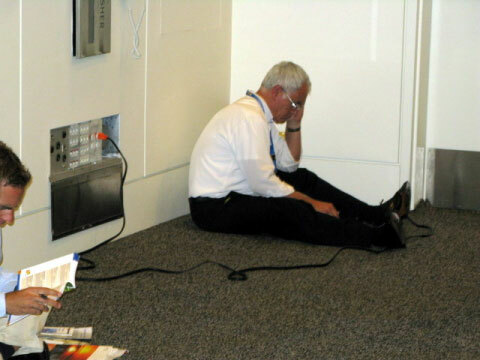 However, there is a lack of concepts, which take the whole system of energy supply into consideration. The missing link is to create strong connections between renewable energy, its distributed generation, storage, distribution and consumption as a combined system. 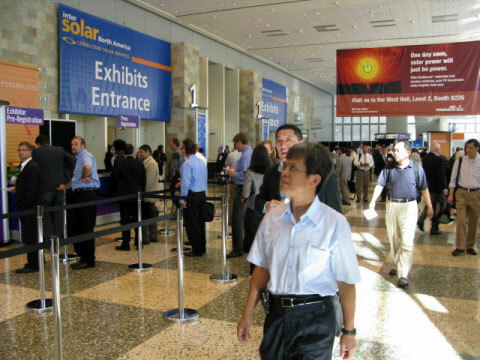 Only if hydrogen and fuel cells are understood as an integral part of solar energy, they may claim their place, also on future Intersolar exhibitions in North America and other places of the world. 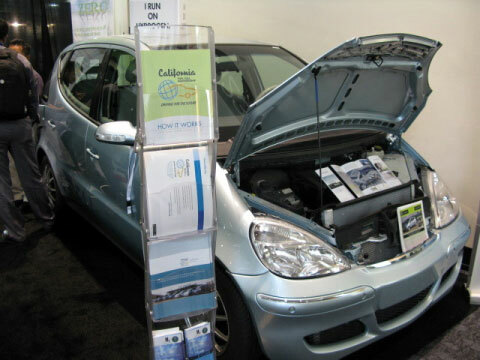 But there were exceptions: the California Fuel Cell Partnership, presented, a little remote at the Semicon West 2009, which was held concurrently with the Intersolar, two FCVs. 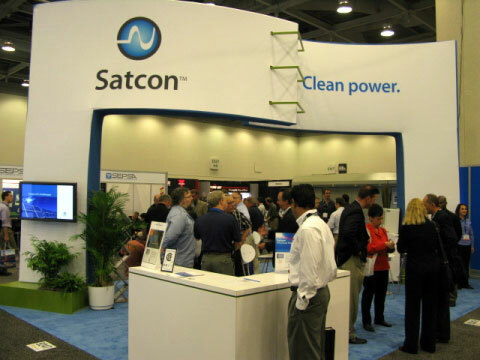 DC-AC Inverters, as for example offered by exhibitors like Satcon Technology Corporation, based in Boston, MA, USA or Refu Elektronik GmbH from Metzingen, Germany are needed for today’s PV systems, such as for fuel cells, if you really need AC. 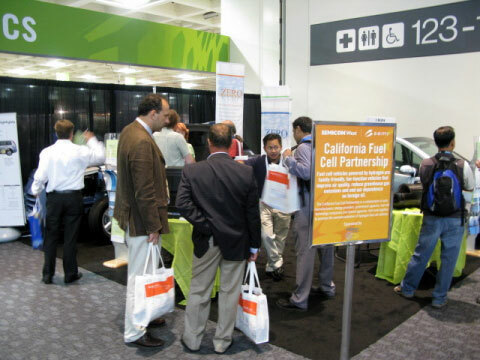 Companies such as Sanmina-SCI Corporation , headquartered in San Jose, CA, BTU International, Inc., based in North Billerica, MA or Nanometrics Incorporated, headquartered in Milpitas, CA, have long discovered the importance of fuel cells for their businesses. 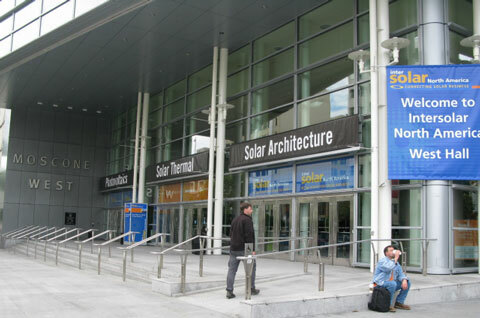 And the H2/FC-Activities of Linde, Air Liquide, Fraunhofer ISE and Siemens, all exhibiting at Intersolar North America, are well known, for examples from their participation at the annual Hannover Fair in Germany. 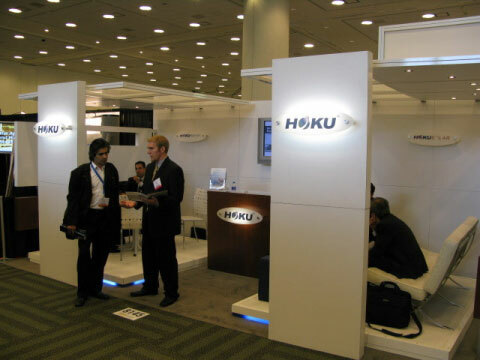 Here the next Group Exhibition Hydrogen and Fuel Cells will be held April 19 through 23, 2010.